Each set includes two wound third strings. 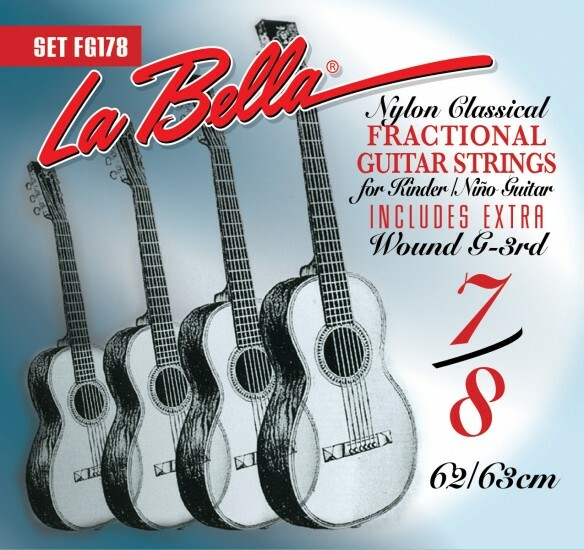 Q: I have a 7/8 classic and string it with regular 650 length (LaBella) strings. They work fine. What is the value of a speciality 7/8 string? A: Yes I would use High tension strings. The only difference between Fractional strings and regular strings are the gauges.